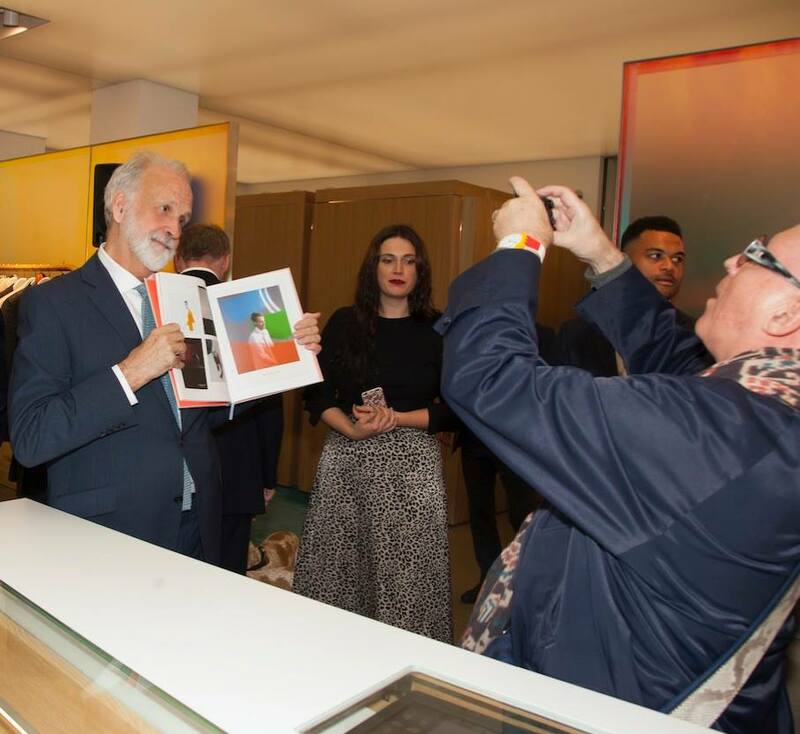 Savile Row Bespoke Association member Richard James marked the publication of its first book last week with a party at its flagship Savile Row store. Created and edited by Richard James’s Content Editor Rohan Daft and Show Media, the eponymous Richard James book looks at the pioneering house’s twenty-six years on the Row and features contributions from, amongst others, British GQ editor Dylan Jones, author and style commentator Peter York, and Richard James’s Design and Brand Director Toby Lamb. 2018 is shaping up to be a landmark year for Richard James with Richard himself receiving an OBE in March and it’s first New York store, complete with a bespoke tailoring service, scheduled to open on Park Avenue in November. 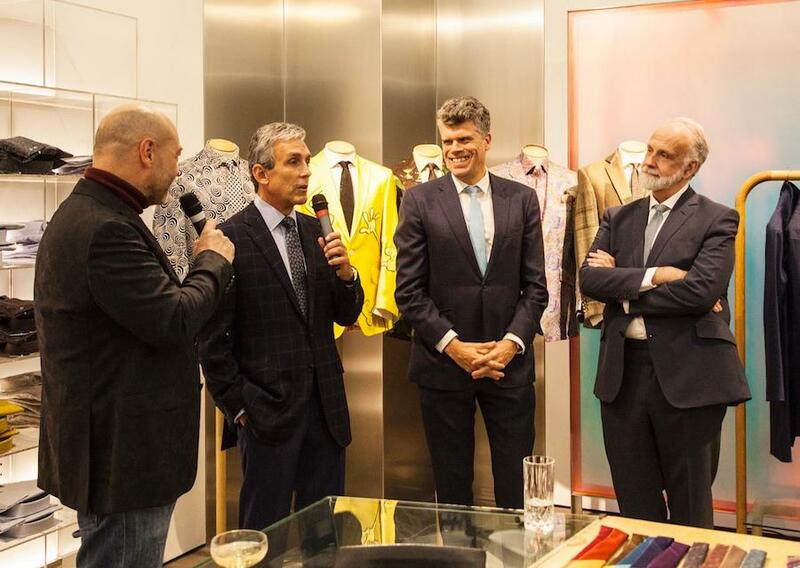 Richard James MD and co-founder Sean Dixon (pictured top centre right) and Richard (pictured top right) were joined at the party by chairman Charles S. Cohen (pictured top centre left), who flew in from New York for the occasion. The book is available from Richard James’s Savile Row, Clifford Street and online stores.